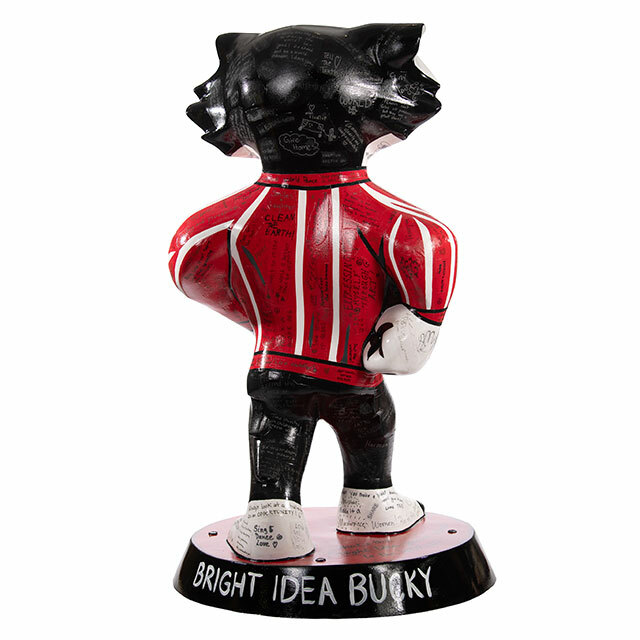 Bucky represents the UW and all of the education, new ideas, forward thinking and big spirit that are a part of the institution. 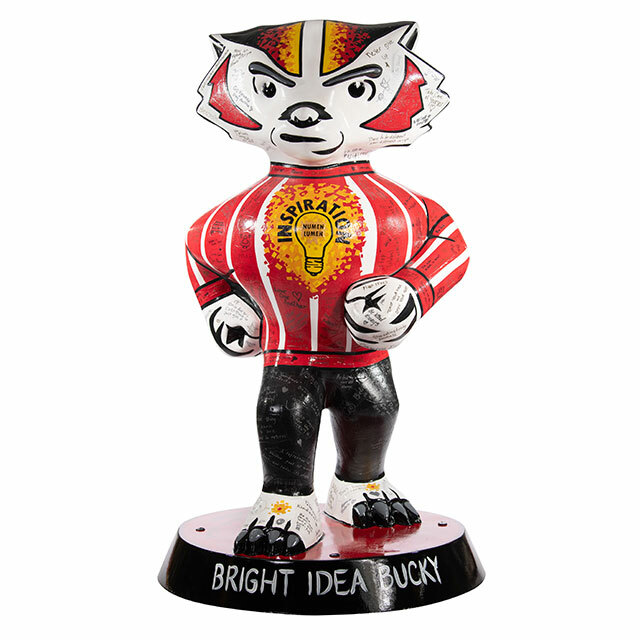 "Bright Idea Bucky" embodies the inspiration that goes into this hard work and captures a spirit of excitement and optimism about what the future can hold. This statue was completed in an art studio, with visitors’ written ideas and inspirations incorporated onto the fabric. I love trying to express the hidden spirit of things we see in our everyday lives. 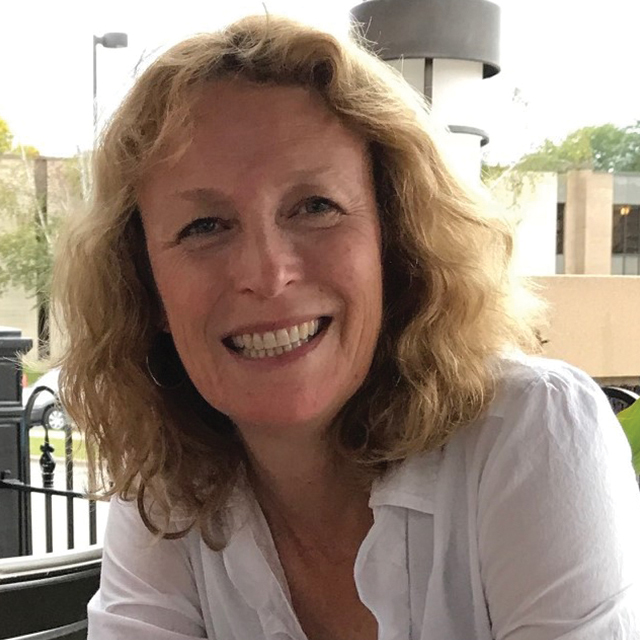 I enjoy working intuitively and would rather paint the 'energy' of a tree and all its seasons of growth and change instead of a recognizable tree. Art is a life-long love for me – a hobby and career combined.